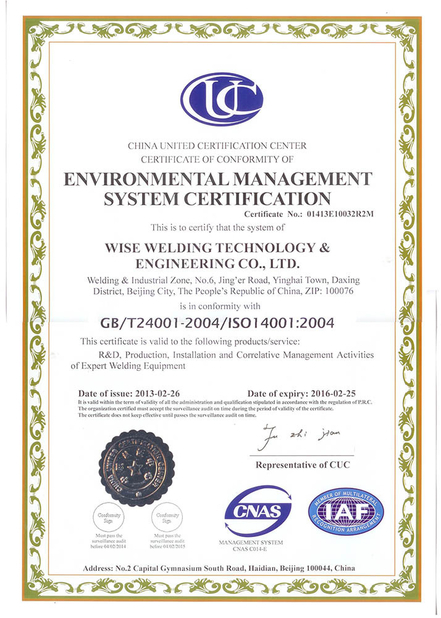 China Industrial Boiler Manufacturing Equipment Company History - Wise Welding Technology & Engineering Co., Ltd.
1984-1999 Beijing Jing Yi Welding Company, the technical engineers of senior generation have established foundation in its industry, products and technology as well. 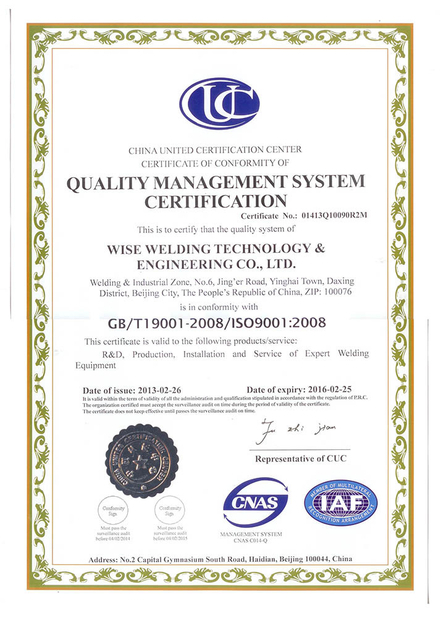 Nov. 9th, 2000, Wise Welding Technology & Engineering Co., Ltd is founded with registered capital of RMB 500,000. 2003 Certified by ISO 9001 Quality Management System. 2006 Enters overseas market successfully. 2007 Certified by ISO 14001 Environmental Management System Certification and Occupational Health and Safety Assessment Series 18001; Sets up Project management Dept. to develop automatic welding production line and non-standard welding automation equipment order management mode with management as mainline. 2008 Oct. Settles in Yinghai Industrial Park. 2009 WTEC becomes Beijing high and new tech enterprises, patent experimental unit in Beijing, WTEC products enter Western developed countries.